Sometime in early 1960's, my father decided to buy a car. In those days, only three models of cars were available in India. We all liked the Fiat 1100 for its looks and performance, though considering today's cars, it was kind of ramshackle stuff. So my father went to the showroom, paid some advance and booked the car. Surprisingly, the dealer was rather silent about when he would be able to deliver the vehicle. My father decided to wait hoping for an early delivery. However days passed into months and then months passed into years, still nothing happened. No car was delivered. After waiting for about 6 years, my father got so much frustrated that he canceled the booking. I am very much reminded of my fathers frustration and predicament, as I follow the news about India's new aircraft carrier to be delivered by Russia. As per initial contract, INS Vikramaditya was to have been delivered five years ago. However, things started going wrong from day one. Hull of this ship, known as Admiral Gorshkov, was abandoned by the Russians as they had no funds to complete the ship. India signed a contract with Sevmash shipyard to refurbish the ship at a cost of $947 million in 2005. However Russians soon realised that the price they had quoted was so low, that the ship could never be completed. There were protracted negotiations in several stages and the final cost has gone up to $2.3 billion. Finally, the extensively refurbished aircraft carrier from Soviet Russia era, sailed out of the shipyard for its first comprehensive sea trials in the summer of 2012. Some of the trials were quite successful. MiG-29K fighter jets successfully completed take-offs and landings on its deck. But then, when the crew tested the aircraft carrier for its top speed, it could not go beyond 30 knots because boiler insulation frayed in extreme temperatures and the ship had to return to shipyard. There were extensive consultations and it was decided to replace the insulation with asbestos insulation. It took several months to fix the glitch and send the vessel for sea trials again. The sea trials could be completed in July 2013, when the ship achieved its top speed of 32 knots. During all this time, Indian Navy, has been anxiously waiting the arrival of the carrier. It is operating INS Viraat, an old ship almost near the end of its life. India’s first indigenous aircraft carrier, Vikrant, s being built by the Cochin Shipyard in India has been just launched and is unlikely to be ready for commissioning before 2017-18. 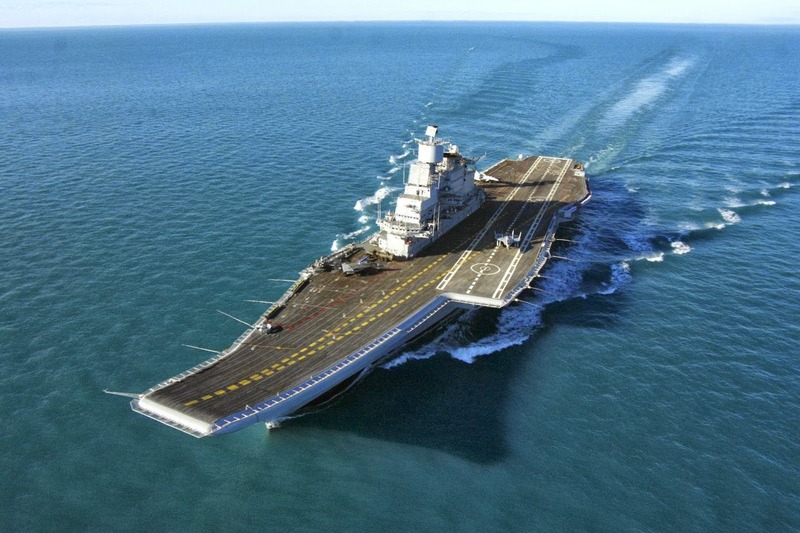 Fortunately for Indian Navy, aviation trials were successfully completed on INS Vikramaditya this week. A team of 20 officers of the Indian Navy were present for observation as fighter jets, flown by the Russian pilots, landed and took off from the deck and performed all other exercises, like touch-and-go, and flight profiles. INS Vikramaditya would now steam to the Sevmash shipyard for getting the finishing touches and a fresh coat of special paint before its delivery to the Indian Navy in mid-November. 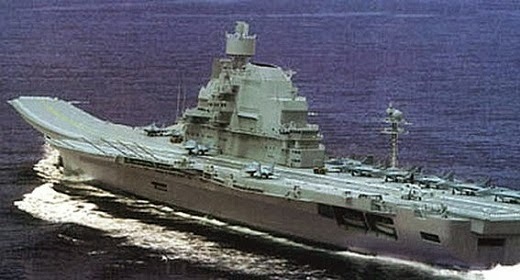 The 45000 Tonne ship INS Vikramaditya is 284-metre-long and 60-metre-high. It can easily carry 30 fighter jets and helicopters, and is fitted with latest communication systems, protective coating, a telephone exchange, pumps, hygiene and galley equipment, lifts and many more facilities. It would be manned at any given time by a 2,000-strong staff. The carrier has an extended flight deck and a full runway with a ski jump and arrestor wires.